The internet is an infinite pool of perpetually refreshing information and distraction. When your job is to keep your corner of it topped up with content each and every day, you’re not to be blamed if it sometimes feels impossible to get started. But if the blame is not on you, the responsibility to do something about your lack of motivation is. Rebooting that personal drive of yours is not as difficult as it might feel – it just requires a bit of self-knowledge. It's been said that there are four personality types when it comes to motivation: the Upholder, who usually has excellent self-control; the Questioner, who interrogates the logic of the situation and may struggle to get started with tasks that feel pointless; the Obliger, who’s a lovely individual but who puts other peoples’ needs first, to everyone’s detriment; and the Rebel who, frankly, does what they like and avoids the everything else. Each type can use different approaches to re-inject some purpose into their day. The Rebel, for example, when confronted with a task she didn’t ask for and which seems to have no immediate benefit for herself, can try twisting that task by 45 degrees to approach it in a new and original way that makes it interesting for her. That might mean asking for extra responsibility, developing new processes for boring old tasks, or rearranging the steps of her regular workflow into a new order. 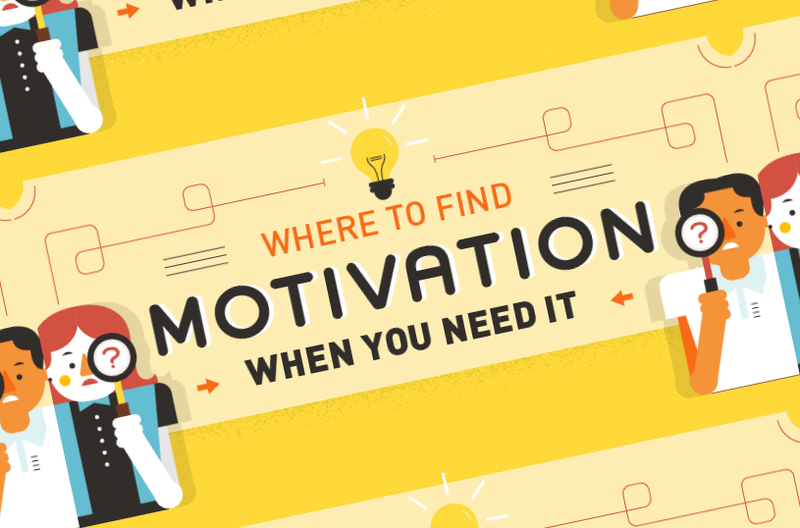 The solutions for the other personality types are just as revealing – and you can find a full rundown of them in this visual guide to motivation from QuidCorner. Figure out what your place is in the grand scheme of things, and it will be far easier to grit your teeth, get back online, and do the work.